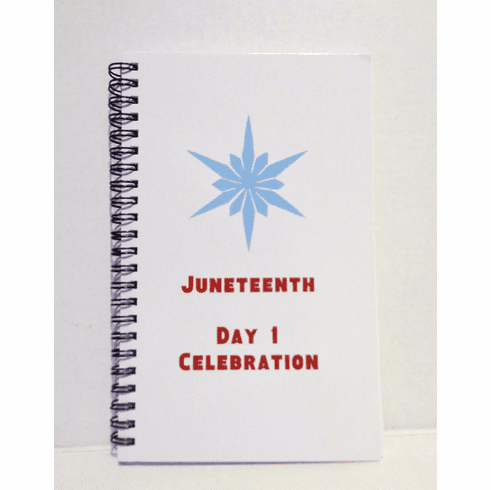 Spiral North Star Juneteenth Day notebook and journal with 160 pages. 60 lbs book-weight acid-free paper. Measures 5"x8", wire-bound in black with a professionally printed heavy front cover & flexible plastic back. Comes in handy to keep notes, your Juneteenth family journal or to manage your to-do list, a great novelty gift for men, women or students for birthdays, Mother's Day, Christmas, or no reason at all.